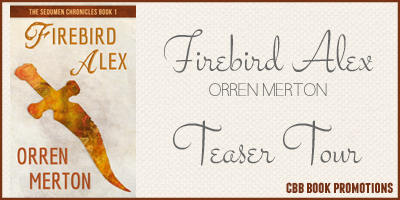 Today we’re excited to introduce you to Firebird Alex by Orren Merton. 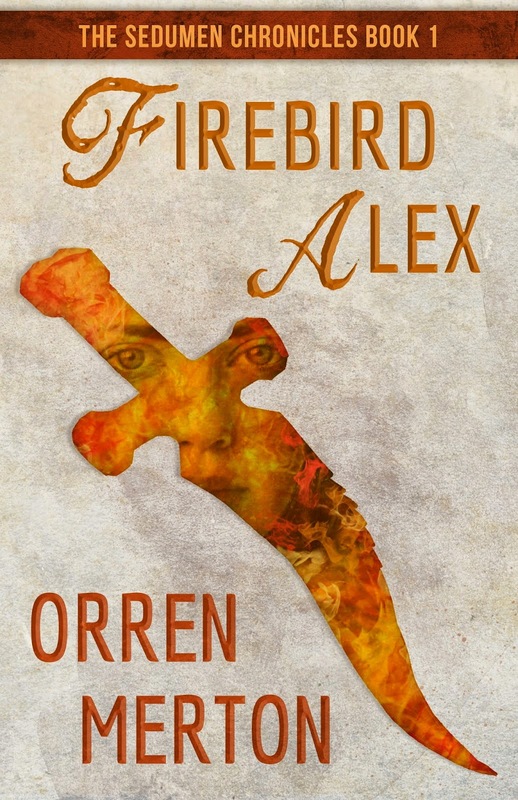 Firebird Alex is a YA/NA urban fantasy that is available now at all online retailers. Alex will do anything to save her friends—even risk appealing to her father in his strange universe of bizarre creatures, unfamiliar alliances, and unimagined power. She knows that to face a tormentor from across the portal, she’ll need to learn to fight fire with fire. Alexandra Gold: Smart and compassionate, 18-year old Alex grew up with the love of a doting published poet mother, and haunted by a horrible secret: that her father was a demon. The fear that one day, despite how much she wanted to be a good person, she might turn into an evil monster kept her from wanting to associate with anyone. So when cancer killed her mother, Alex felt that the cancer had also taken her only bridge to the world around her. And yet, in the back of her mind, she knows that her mother would want her to be part of the world, and so she tries, slowly, to claw her way back. Rachel Silver: Short and bug-eyed, 13-year old Rachel was orphaned young, but not before her mother asked Rabbi Normal Hirsch to foster her. She’s gregarious and snarky but sweet and caring to the core of her being—just the righ girl to help pull Alex out of her shell. The two girls hit it off quickly, not simply because of their mutual loss, but because of their love of gaming. Rabbi Norman Hirsch: Father of Rachel, rabbi to Alex, and a kindly, deeply spiritual man who wants only to facilitate the enlightenment and fulfillment of everyone he can, especially wayward souls. He doesn’t have a judgmental bone in his body, which makes him the perfect for Alex, who judges herself so harshly she initially retreats from everything and everyone. Jacob Harman: The moment 19-year-old Jake may seem like a stereotypical computer science major—tall, gawky, too thin for his own good—but he has a soulful streak, alove of cars, and will own up to the occasional foray into electronic data harvesting on the less-than-completely-legal side. For all that Jake may flirt with hacking, however, he has an unshakable sense of loyalty and a strong moral code. Detective Hector Godinez: A lifelong friend of Rachel’s father, he repeatedly runs into Jake and Alex when the pair decide to investigate a missing persons case of his. Like most good detectives, Godinez knows far more than he lets on. Before long, he ends up being a sort of mentor to Alex, trying to pick her brain and keep her out of trouble at the same time. Rachel: Thanks so much for agreeing to this! R: I know, nothing too personal. So let’s start with your full name. R: Your middle name’s Shoshana? I can’t believe I didn’t know that! That’s beautiful! R: Were you named after anyone in your family? A: Not really, but kinda. My mom just wanted to call me Alex, so she named me Alexandra. And Shoshana is actually my mom’s Hebrew name. There’s no Hebrew translation of Stacy, so they just gave her that because it was pretty. She never went by it, but she liked it, so she gave it to me as a middle name. A: No, it’s cool. I mean, I still think about my mom every day, she only died a month ago, you know? And your dad’s been great, taking me in and helping me get my life together. And you’ve been a massive help, Rachel. I feel like I’m finally becoming myself again for the first time since losing mom. R: I’m so glad, Alex. And it’s been really good for me to talk, too. My mom died a long time ago, but…yeah, it’s always right there. R: Okay, so are you thinking about the future? Do you want to get a job? Go to college? Run off with Jake and have boatloads of super tall babies? A: [laughs] Come on, Rachel! We’ve only met a couple of times. And I’m not that tall. R: You’re tall and pretty and shut up or I’ll punch you. A: You mean you’ll try, girlie! R: Okay, so no babies yet. But he likes you. Maybe you could go to University of California, Irvine with him! A: Um…if you’re going to turn this in, let’s just say visiting my dad. You know, in...his place. R: Do you think he wants to meet you? A: I don’t know. I mean, I guess so. He left me that…um…key to his place. So he has to want to meet me, don’t you think? But I never met him, and I have no idea what he’s like, so it’s pretty scary to think about. R: Yeah. But thinking about dinner isn’t scary at all—let’s eat! Orren Merton started writing fantasy and science fiction at an embarrassingly young age, mostly for his own amusement. In 2001, magazines, developers, and corporations began to pay him to write and edit music software related articles, manuals, and books. His music technology articles have appeared in magazines and online in Electronic Musician,Computer Music UK, Music Tech Magazine,MIX, Cubase.net and Gearwire.com. His music articles and reviews have been published nationally and internationally, online and off in Dark Angel, OC Weekly, and The Scene LA. His Industrial rock group Ember After released their debut album, Grasping At Straws, in 2008. Since 2010 he has written the urban fantasy novel The Deviant and the science fiction novel Skye Entity. He lives in Southern California with his family, pets, collection of sci-fi/fantasy memorabilia, and curiously large stuffed animal collection.